Rough finished dark emperador marble was used. Making this tub a unique option. The bold material gives this bath its rugged look fit for a palace. This black bathtub can also be carved and polished. That would give it a more refined look and smooth feel. We offer a very large selection at a great price. Take a look at our sinks. Granite will have a similar look. 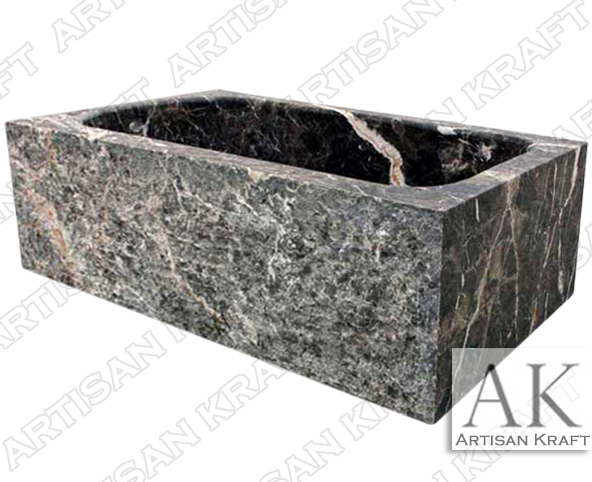 The exterior of the bathtub can also be made rough for more of a natural stone finish.